A parliamentary report of 1777 recorded parish workhouses in operation in Brinkworth (for up to 50 inmates), Crudwell and Estcourt (26) and Dauntsey (40). In Malmesbury, the east end of St Paul's church was used to house some of the poor in the later part of the 18th century (VCH). A workhouse was in operation in 1781. This was probably in Holloway and may previously have been part of Jenner's almshouses. In 1803 it had 46 inmates. A new parish poorhouse was built in 1825 at the junction of Holloway and Oxford Street on part of the site of Jenner's almshouses. In 1834, the remaining almshouses were also being used to house poor families that the parish placed there. 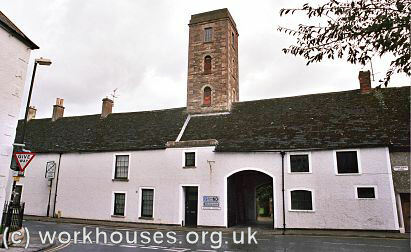 After the opening of the union workhouse in 1838, it was converted to stables. Malmesbury former Oxford Street workhouse, 2004. 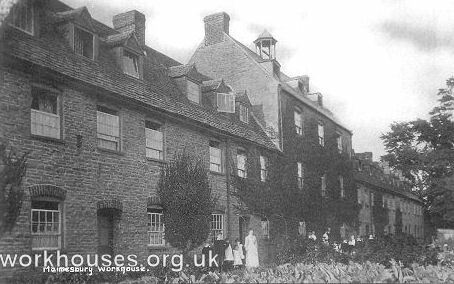 Brinkworth's parish workhouse was located in a house near the church originally given to the parish by Malmesbury abbey in 1478. In 1781-2, an average of £30 a month was spent on poor relief and in 1802-3 nearly half the inhabitants of the parish were paupers. In the years 1816-34, Brinkworth's poor relief expenditure was regularly the highest of any parish in the hundred. In 1788, the vestry in Lea and Cleverton leased all or part of the Rose and Crown inn, presumably to house the poor. A building in Cresswell Lane was referred to as a workhouse in 1806. Crudwell's workhouse stood to the south-west of the village. In 1803 there were 10 inmates in the workhouse and about a third of the £577 annual poor rate went on their upkeep. County of Wiltshire: Alderton, Bremhilham, Brinkworth (2), Brockenborough [Brokenborough], Charlton, Crudwell, Dauntsey, Easton Grey, Foxley, Garsdon, Hankerton, Hullavington, The Lea, Luckington, Malmesbury Abbey, Malmesbury — Westport St Mary (2), Malmesbury St Paul (3), Minty [Minety], Norton, Oaksey, Shurston [Sherston] Magna (2), Shurston [Sherston] Pinkney, Great Somerford, Little Somerford, Sopworth. The population falling within the Union at the 1831 census had been 13,280 — with parishes ranging in size from Bremhilham (population 33) to Malmesbury St Paul (944). The average annual poor-rate expenditure for the period 1833-5 had been £8,720 or 13s.4d. per head of the population. 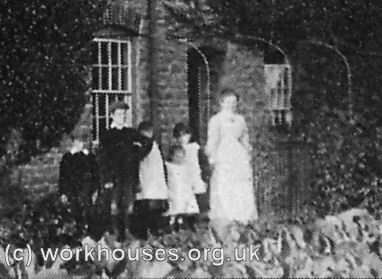 After its closure, the former workhouse was sold for £1,800 to the local council who converted it into flats. The building was demolished in 1971-2 and the site is now occupied by housing and a sports centre. Wiltshire and Swindon Archives, Wiltshire and Swindon History Centre, Cocklebury Road, Chippenham SN15 3QN. Relatively few records survive — holdings include: Guardians' minutes (1835-69, 1874-1930); Admissions and discharges (1869-74); Deaths (1866-1933); etc. The Victoria County History of Wiltshire , Vol XIV. Oxford University Press.